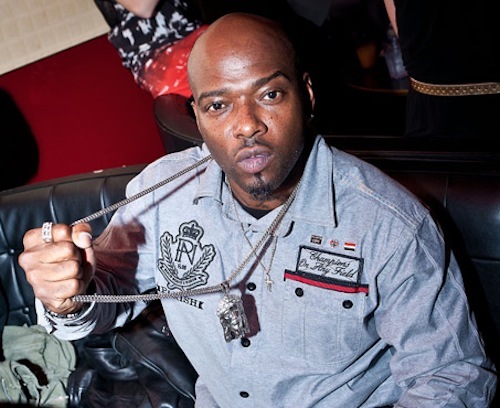 Anthony “Treach” Criss of Naughty by Nature, a Grammy Award-winning hip hop trio from East Orange, was arrested yesterday in Union City on the charge of eluding police and when he rushed toward the police car he was ordered back to his vehicle at gun-point, officials said. Criss, of Massachusetts, made his first court appearance on the charge today in Central Judicial Processing court in Jersey City, where his bail was set at $15,000 cash or bond. Before posting bail he will have to take care of some child support issues and other matters, officials said. Union City Police Chief Richard Molinari said at 7:30 p.m. officers were checking car speeds with radar at Kennedy Boulevard at 18th Street when Criss blew past them in his Cadillac Escalade doing 55-miles-per-hour in the 25-mile-per-hour zone. When the officers pulled out to stop Criss he hit the gas heading north on the Boulevard, flying through four red lights before finally stopping on the Boulevard at 29th Street, Molinari said. Upon stopping, Criss jumped out of his vehicle and ran to the police car and the officers drew their weapons and ordered him to return to his vehicle, Molinari said. Criss was irate and belligerent at first but later complied with the officers’ orders, Molinari said, adding that he was cited for reckless driving, speeding and driving while suspended. Officers also found there was a warrant for his arrest out of Essex County for failing to appear at a hearing related to child support, and warrants out of Union City and Secaucus for failing to appear at hearings related to motor vehicle violations, Molinari said. After Criss’ appearance in court, his attorney, Darryl Smith of Jersey City, said he had no comment on the charge at this time.